At 7.00 am reveille was sounded by the blows of a hammer on a length of rail hanging by the camp commandant’s office. Actually rumour has it that the fire alarm was deliberately triggered by Phil Hodge to ensure the teams got to the mess hall before the bacon rolls ran out. Meanwhile in Coach Hut B75, S854 and S855 aka Decky and Colin were hoping to avoid the constipation inducing interrogation suite. It had all seemed so different the night before as the teams were being processed in the reception hut and issued with one pillowcase, sheet and duvet cover taking care not to exit by way of the door they entered by. In the mess hall a rising tide of anguish spread through the teams. There would be no bacon rolls just porridge and toast. No amount of remonstrating from our tallest team coach procured a single bacon butty. It is to their credit that the trustees who staffed the kitchens held their ground in the face of such a ferocious onslaught. And so to the races and as the team bus pulled away you could sense that it wouldn’t be long before the rain and assorted fungi reduced the camp to mulch – A time lapse camera has been installed to record same. 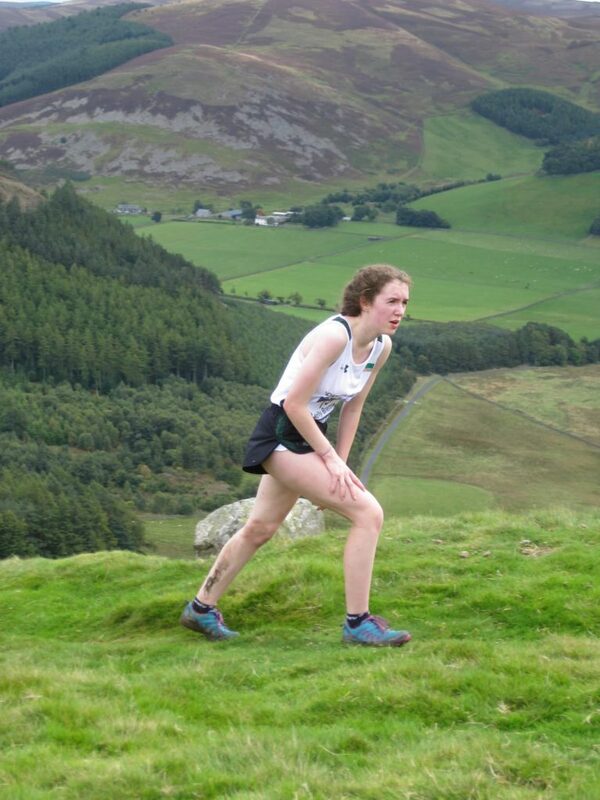 After much deliberation over the merits of google maps and Tom Tom the bus as seen from the ISS traced a near perfect circle of radius 12 miles before finally depositing the runners at Peebles High School where the night before it had all started so well with piping hot dinner in a cardboard box. And finally it was the turn of the U20 Men. 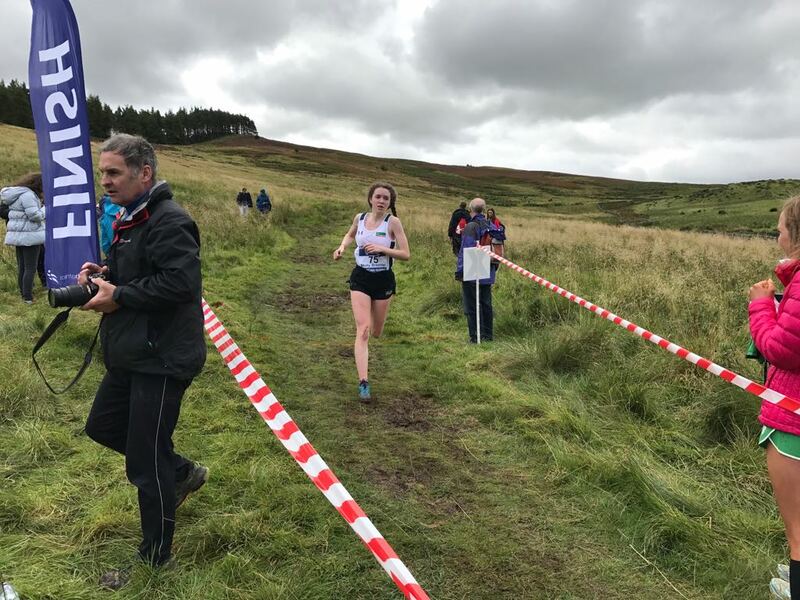 They would run the far loop of the 5.8km course twice with the distinct privilege of ascending the steep 127 m climb to the ancient fort at the summit of Cademuir Hill twice. 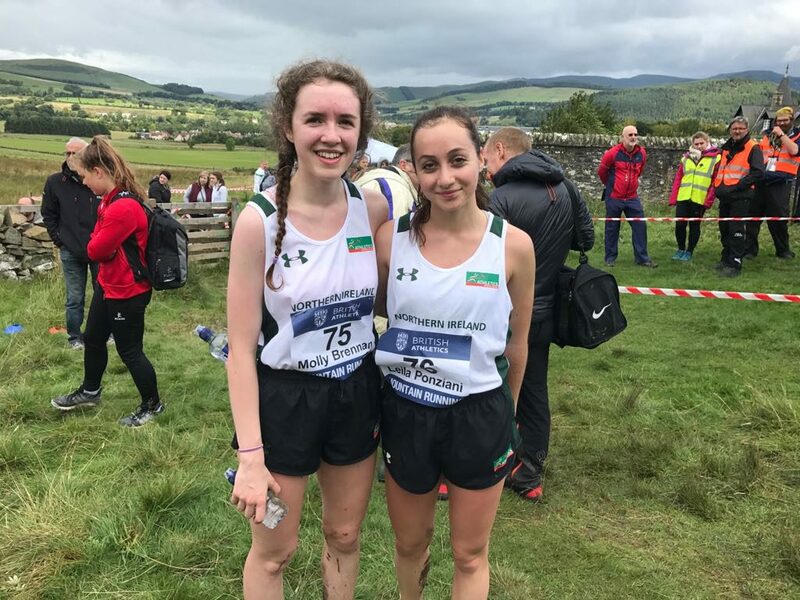 Oisin Brennan found himself as the race progressed renewing acquaintances with Team Ireland colleagues from the recent U20 World Championships and finished in 20th place in 40:06. Ethan Dunn battled his way over the toughest of courses to finish in 24th place in 44:58. 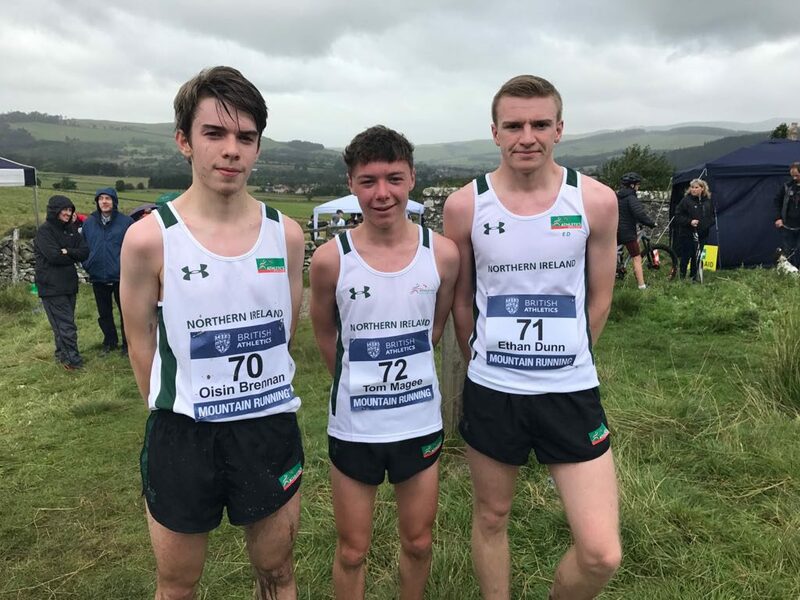 Team Northern Ireland scoring was completed by Tom Magee bravely fighting the undulations to finish 25th in 45:56. And so B&I Junior 2017 came to a close with cups of soup so thick you can stand on it and enough cured and dried meats to satisfy a committed paleo.